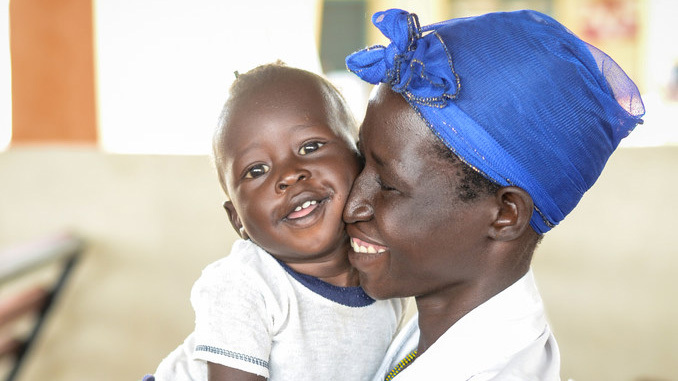 Every month, thousands of children attend a World Vision nutrition centre in South Sudan. They are given life-saving nutritious food packs which help them to recover. “He’s okay! Now he’s okay, he’s good,” Santo, a volunteer at one of World Vision’s nutrition centres in Juba, remarks. When we met John Jacob and his mother six weeks ago, we worried. He was too small, too frail, too sick, too tired. He could barely stay awake and couldn’t sit up on his own. He was malnourished and his prospects of survival were alarming. The boy’s mother, Wilma, told us that she didn’t have income, that her husband was fighting in South Sudan’s conflict and wasn’t sending money home. Like so many South Sudanese struggling with food insecurity, there wasn’t food at home. Wilma relied on odd jobs from neighbours to earn a little money to buy a few ingredients to make porridge or ugali - a starchy corn meal – a staple of the South Sudanese diet. For the nutrition volunteers and staff who work alongside hundreds of malnourished children every day at World Vision-run nutrition centres, Wilma’s story was far from unique. Although she isn’t able to read or write, Wilma wanted to learn how to take better care of her son. To do this, she walked for four hours with John Jacob tied to her back every time she visited the nutrition centre. There, World Vision nutrition staff gave Wilma packs of nutrient and energy-rich paste called ready to use therapeutic food (RUTF for short). The staff showed Wilma how to feed the packs to John Jacob three times a day and offered Wilma other tips on how to keep her son healthy. Additionally, Wilma was provided packs of corn soya blend - another nutrient-rich food that makes porridge for the family and helps them recover. Over the course of three months, John Jacob continued to show signs of improvement each time he and Wilma visited the nutrition centre. Sometimes, it would just be a gram or two of weight that the boy would gain. But he started to develop beyond just gaining weight. John Jacob started pointing at things, he was able sit up on his own and he began smiling at the other babies who were waiting to be weighed and measured too. The morning he was declared as recovered, when we celebrated at the clinic, John Jacob crawled around the and showed us how he could stand on his own for a few seconds, grinning widely. 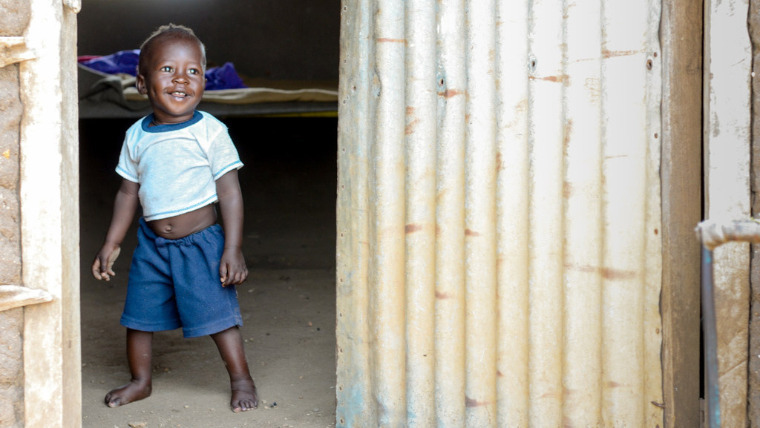 This young boy is one of more than 87,000 children who have received assistance through World Vision’s nutrition programmes across South Sudan during the past year.